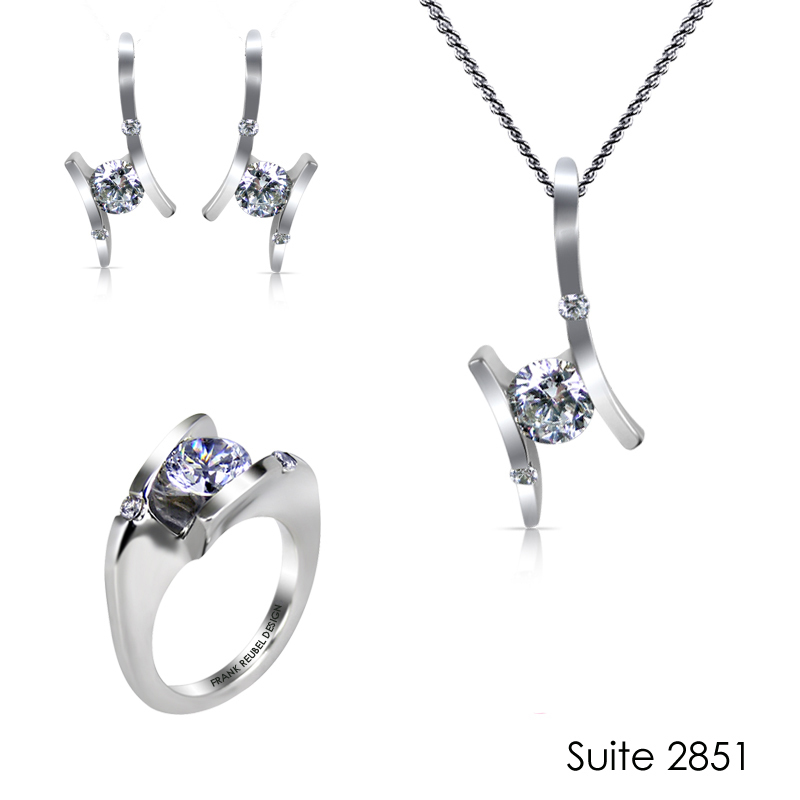 This 14kt Gold suite features a set, including a Pendant, Ring and Earrings. The pendant (MP2851W) includes a 1.5ct Round CZ Center and 10pt Diamond. The earrings (ME2851W) include a .75ct Round CZ Center and 4pt Diamond in each earring. The ring (MR2851W) includes a 2ct Round CZ Center and 10pt Diamond.